The one cleaning tool you need for this hard-to-reach chore is hiding in your linen closet. 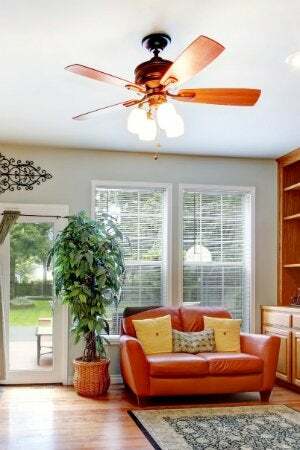 Too far out of reach (and often out of sight during normal cleaning routines), ceiling fans collect plenty of dust when left unused in the off-seasons. But what homeowner wants those allergens and air pollutants scattered throughout the room when it’s time to turn the fans back on? Fortunately, cleanup can be a breeze. 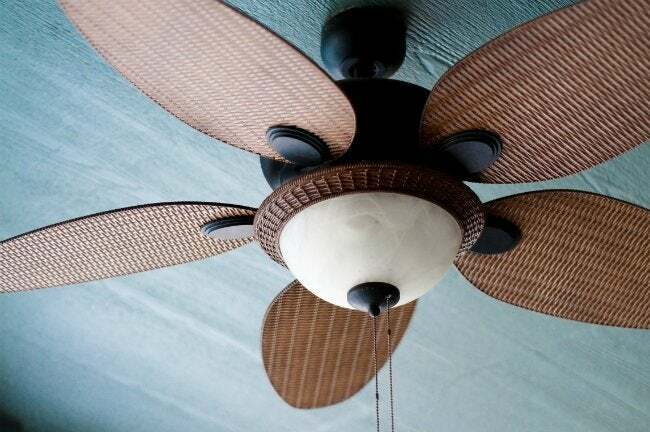 The next time you switch the direction your fan spins for the season—whether clockwise to warm up a room or counterclockwise to cool down—bring an old pillowcase up the ladder with you to do the dirty work all at once. That’s right, a bit of retired bed linen is the key to clearing dust without it flying everywhere. Carefully climb up your stepladder with any old pillow cover in hand, and hold it open to slide over one fin completely. Leave the case on and use its fabric to wipe off the dust that covers both sides of the fin, just as you might a rag. The bedding will keep all the dust and dirt bagged up—no more distributing extra debris while you work. Repeat the process with the rest of the blades. When you’re done, just take it outside, turn it inside out, and shake off most of the dust before tossing it in with your next load of wash. If you don’t like the idea of dirtying a pillowcase with that much dust and then setting it out on the bed again later (even after a wash), simply designate just one for chores by marking it in a corner with a Sharpie. Stow it with rest of your cleaning tools between uses, and go back to breathing easy.